Accelerometers are used to measure the acceleration of an automobile, ship, aircraft, or space craft. They can also be used to measure the vibrations on a machine, building, or motor. What every your use is you need to make certain that you are getting the correct data from your accelerometer. Angel’s Instrumentation provide accelerometer calibration services to verify your equipment is functioning within manufacturer specifications. We calibrate accelerometers from several of the primary manufacturers: Dytran, Meggitt Sensing, Wilcoxon Research, PCB, or Helitune. Angel’s Instrumentation now offers accredited accelerometer calibration services. 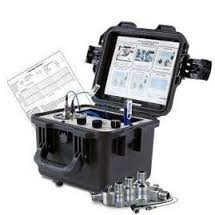 Our trained technicians can provide skilled calibration services in our laboratory or we can provide your company with onsite accelerometer calibrations.